Selling any property in this climate can be a difficult prospect. You can hit many stumbling blocks along the way, such as legislation and banking, which are becoming very particular. Even the smallest issue can delay the sale for months, or even years. This can result in the loss of your purchaser and a lot of stress for you, the seller. The only way to approach selling your home is to get the professionals involved and get your property sale ready. 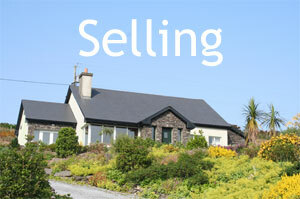 Here at Declan Noonan & Associates our services for sellers can ease the stress involved in property selling. We are a ‘one stop shop’ and can provide all your legal conveyancing needs. Our services range from mapping, to surveying to advising on planning matters. We will ensure that all the documentation is fully prepared, so when you have a potential purchaser there will be no delay in issuing contracts and closing the sale. The most common issue that we find which delays the sale of properties, is that structural changes have been made to the property over the years that were not in accordance with the granted planning permission. These changes need to be regularised before any sale can go through. We can check whether or not your building is fully compliant and rectify this for you if not. We have years of expertise in dealing with the planning authorities and can take care of this for you. Contact us for more information. Boundary issues are also very common; where the actual boundaries on the ground deviate from the folio map. Again this can take months to resolve and a sale will not go through until all boundaries are corrected and registered. With years of experience in providing accurate and thorough mapping with associated services, Declan Noonan & Associates have built a strong reputation for the provision of services for property definition and transfer for commercial & residential developments. We use the most up-to-date mapping technology and mapping software. Click here for more information on our mapping services. Other services we provide to people selling their property include compulsory certificates, as well as optional surveys that will give you an accurate estimate of the value of your property. We will pre-empt the problems and deal with them quickly and cost effectively. We can examine your property and undertake a pre-sale snag list. This will give you a list of things we feel should be addressed in order to portray your property in the most positive light. this in turn will ensure that you get maximum value for your property. In these challenging times, people selling properties should be proactive and address all the small jobs around the home. This ensures a seamless sale when a purchaser is found. Another issue we regularly see is that properties are advertised and listed at unrealistic prices. This puts off potential buyers from even looking at the property. We can assess your property and give you a realistic sale price. A Buildings Energy Rating (BER) Certificate is an indication of the energy performance of a home. It is accompanied by an Advisory Report which identifies how you might improve the energy performance of your home. A BER is compulsory for all homes offered for sale. Advertisements must include BER details when a home is offered for sale. Declan Noonan & Associates are registered BER Assessors. Rogue traders or inexperienced BER Assessors can sometimes give a rating that is not a true reflection of the energy efficiency of your property.This can devalue your property. If you are unhappy with your BER rating and feel that the rating received simply does not affect the true state of your property, we can examine your home and the report to see if it is accurate. We can also recommend ways to improve your BER rating. Click here for more information on BER Certificates. It is compulsory to have the correct planning permission for all of your property when selling it. It is possible in certain circumstances to apply for planning permission to retain a structure that has been built without permission. We can put together a Retention Planning Pack that is tailored to your needs. We will work with your solicitor to provide all of the necessary certificates needed to be provided as part of a standard contract for sale. We can speedily provide your solicitor with all the information they require to ensure a contract can be issued as soon as you receive firm interest. We are a ‘one stop shop’ and can provide all your legal conveyancing needs. We will work closely with your solicitor to guarantee that every angle is covered to protect your interests and make sure the deal is concluded as quickly as possible. A comprehensive inspection and report outlining any structural defects faults in the existing house or building. We can also do a final inspection to ensure that the snag list has been completed. We will accurately establish your boundary/ Right of Way, by using our surveying equipment, as per your Contract Map/Filed Plan/ Land Registry Folio. We can register all boundaries and rights of way for you. We can check that the contract sale map accurately reflects the actual position of the boundaries on the ground. We can also confirm the actual area of land and sign a declaration of identity to that effect for your solicitors. Click here for more information on our mapping services.